So yea my weps are bow, ls, gs, hbg, lbg, ds and sns. Welcome! So wich MH games do you play? 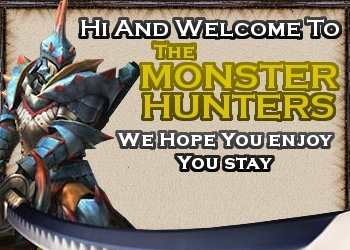 I mostly play MHFU, but i also played the korean MHFO when it was free. Look forward to seeing you aorund these halls. You can help me unless the lal(?) event quest is on? what is a lal anyways? Welcome Murtazio, maybe a little late but welcome.